Torrential rain and flooding, the effect of Global warming, inherently affecting the socio- economic lives of this perennially submerged town of Villa Venezia. With music by the 90's Filipino rock band, Aegis, this show seems to poke fun with the name jukebox broadway musical of the similar sounding title. However, "RAK" is actually short for "Rakrakan", a street slang for "rockin' it out". 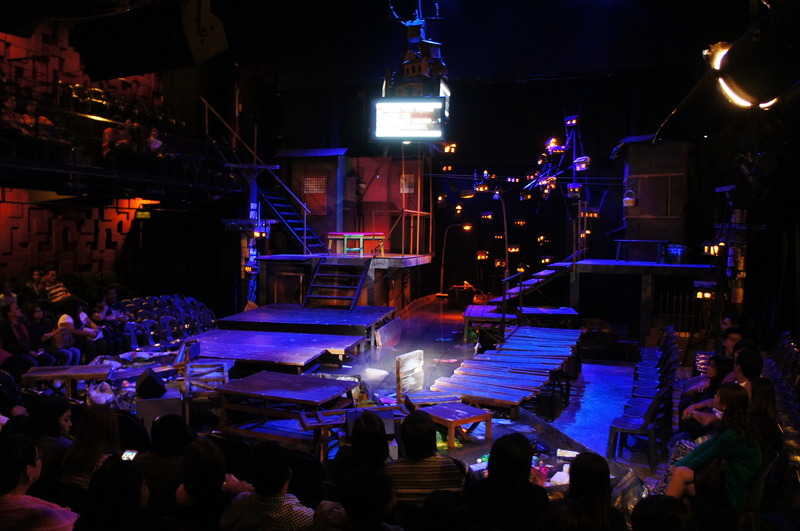 Rak of Aegis, looks at the Filipino resilience to, literally, rise above circumstance, make do, and diversify. 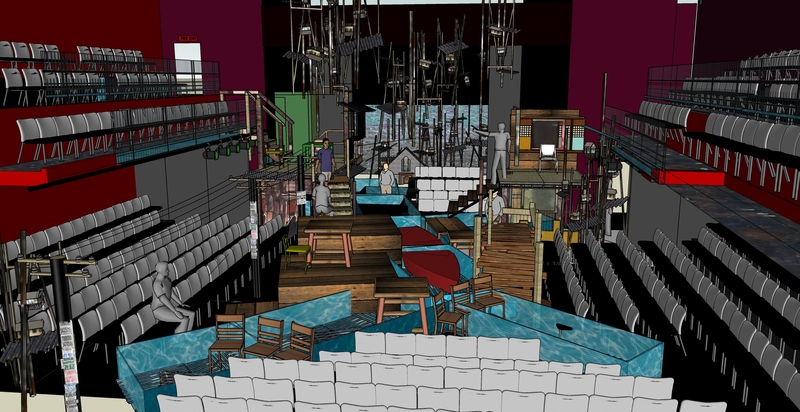 The mise en scene includes a flooded community which have all transferred everyday lives on to the upper floors, and traverse over makeshift bridges of found tables and chairs -- as if life on stilts. A makeshift banca boat pushed in and out by a neighborhood tricycle driver turned "gondolier', on a garbage filled flooded street; and the waters of the flood rise and fall on cue. Miniature 'tenement' (bird) houses overlook the already-cramped urban community of Villa Venezia. Mio Infante designs for theatre, dance, television and corporate industrials. He earned his MA Scenography/Theatre Design from Wimbledon School of Art, after obtaining his Bachelors in Interior Design from the University of the Philippines. 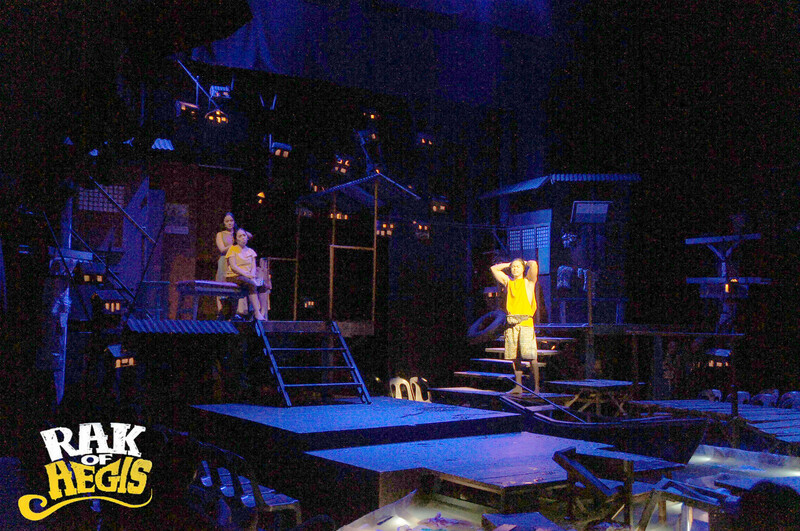 He is Managing Partner at Sceneshop, Inc. and Associate Artistic Director for 9WorksTheatrical. He recently was Theming consultant for KidZania Manila.